Super Savings Item! 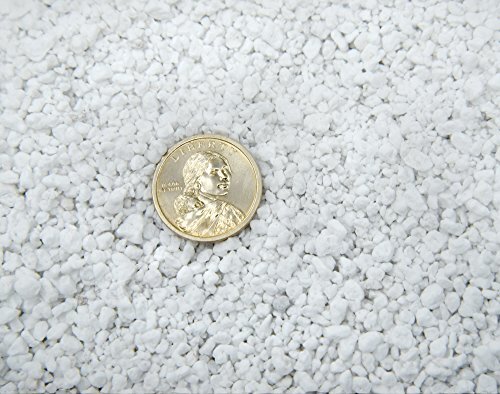 Save 37% on the Organic Perlite by Perfect Plants — 8qts. Soil Additive for Drainage Management and Enhanced Growth of Indoor and Outdoor Container Plants by PERFECT PLANTS at Black Ant King Plus. Hurry! Limited time offer. Offer valid only while supplies last. Perfect Plants is an excavated mineral rock that is typically mixed with potting soil to help manage aeration and drainage of soil for potted plants. Perfect Plants is an excavated mineral rock that is typically mixed with potting soil to help manage aeration and drainage of soil for potted plants. The mineral is light-weight and porous creating air pockets within the soil that alleviate stress on roots. Perlite has been shown to help maximize root growth while lessening stress of drainage management for gardenrs with containerized plants. Perlite can also be substituted for soil when propogating cuttings as it successfully drains water so baby roots can develop safely. Simply mix Perfect Plants Perlite with a multi-purpose potting mix or seed starter before planting. Perfect Plants Perlite comes in a 13x15" heavy duty, re-sealable bag - perfect for storage or later use.